The Best Gyms in Ontario! Prepare to power-up with group fitness at our Ontario gyms. Led by Fuzion Fitness professionals, classes range from body-balancing yoga to the intense strengthening of boot camp and Muscle Fuzion. We offer Zumba and spinning too. Find what fits you best! Both of our Ontario health clubs feature private exercise areas that are ladies only. Enjoy the benefits of cardio, strength, and functional training equipment away from co-ed areas of the gym. Bring your friends or workout on your own in this space that’s just for girls! 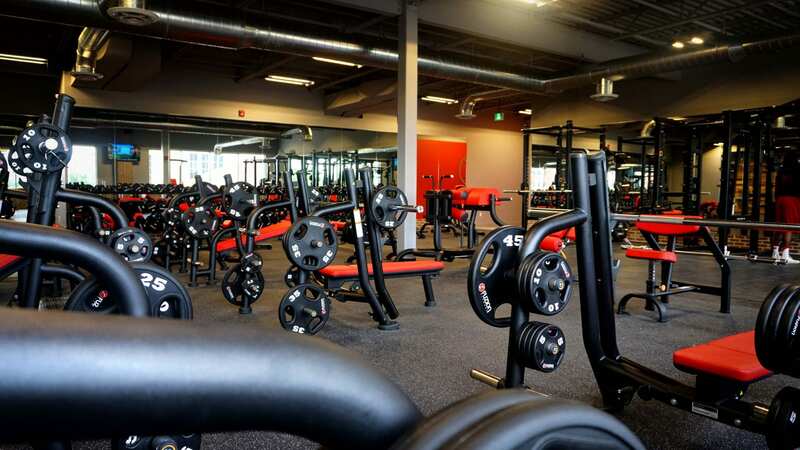 Our Ontario fitness centers feature incline and decline benches, squat racks, plate loaded, and selectorized equipment from Hammer Strength, Nautilus, Hoist, & more. 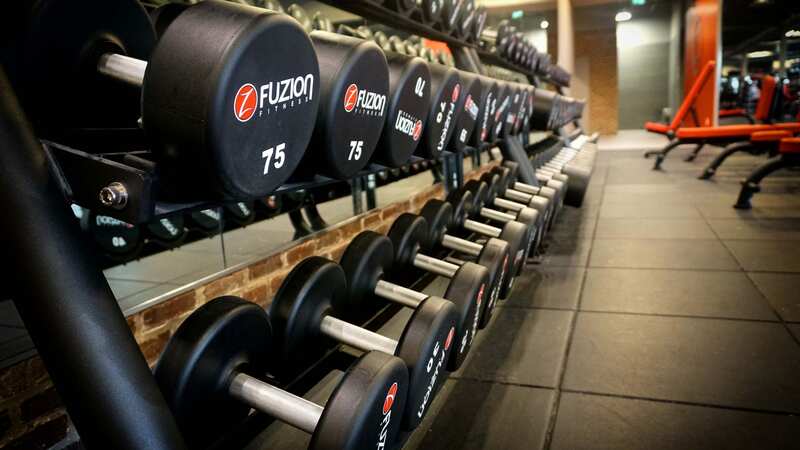 Dumbbells at Fuzion Fitness range up to 150 lbs. Personal training at our health clubs in Ontario means one-on-one coaching with a certified Fuzion Fitness professional. We’ll start with a 3D Styku body scan for measurements and body fat analysis in just seconds -- perfect for goal-setting and workout planning. Flex your heart muscle and burn calories! For an aerobic workout that also strengthens and tones, try cardio training at our gyms in Ontario. Exercise on stairsteppers, treadmills, ellipticals, bikes, and more -- each equipped with a 19-inch monitor. 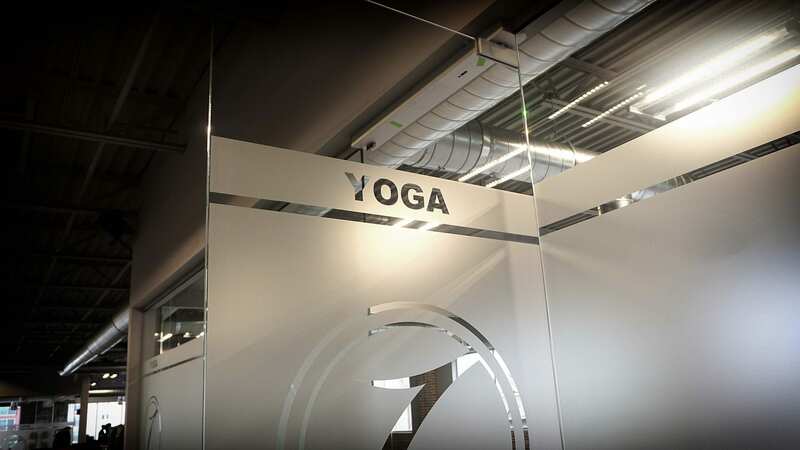 Yoga group exercise provides a calming but strengthening experience that firms, tones, and relaxes in one great workout! 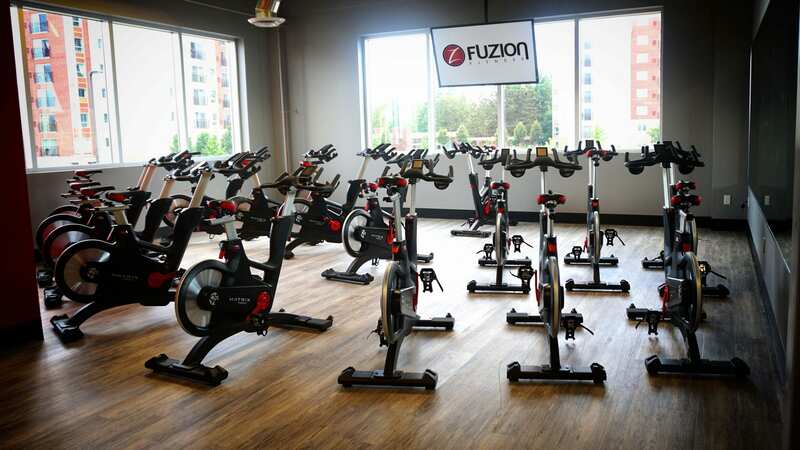 Classes at our Fuzion Fitness gyms include Gentle, Flow, Restorative, and Body Balanced. Take a deep breath and try it! 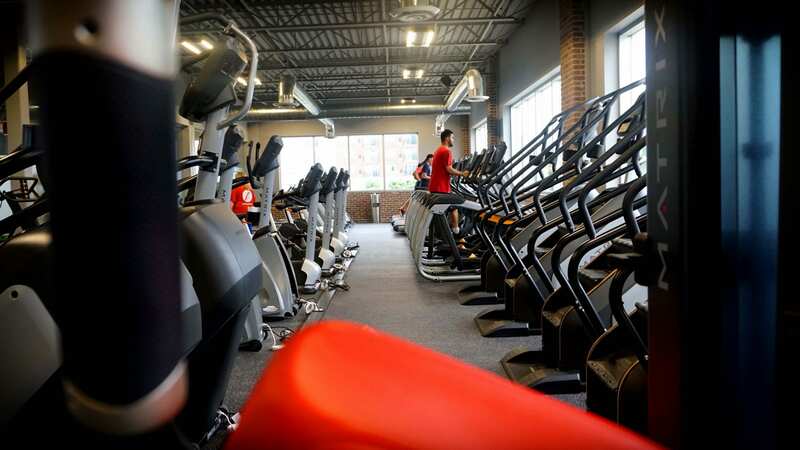 Your fitness is our priority, and that’s why we offer two great locations for your convenience. With gyms in Brampton and Cambridge, you’re never very far from fitness! 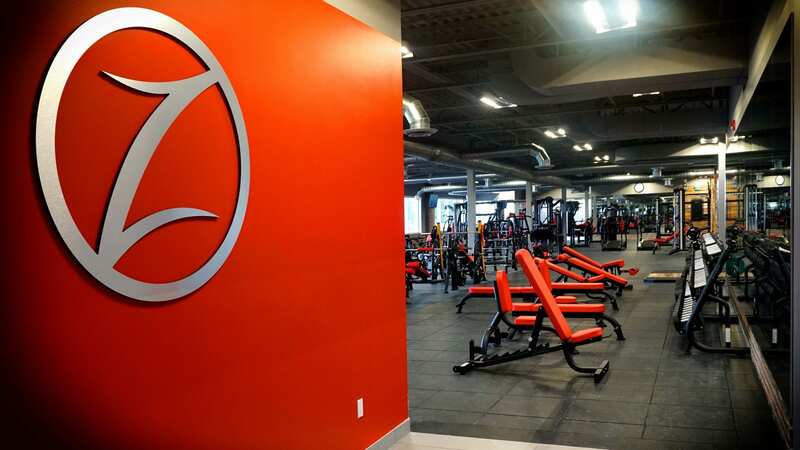 Once you’ve made the commitment to be your best, look to our Ontario gyms for the trainers, equipment, and group classes that will take you to next level fitness. We offer the largest selection of group exercise classes, a ladies only area, Styku 3D body scanning, luxury change rooms, a juice bar, and onsite childcare, and more! Are you ready? Give us a try. 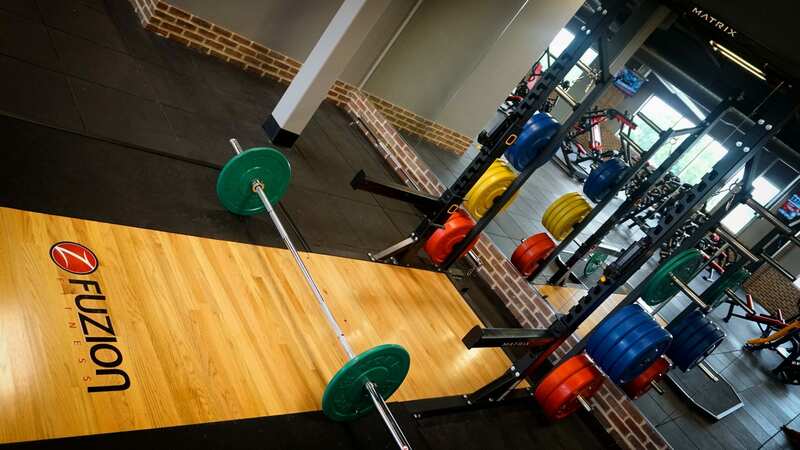 Sample a class, try out the free weights, take a run on our machines, or relax in the Eucalyptus steam rooms. You’ll see why Fuzion Fitness offers the best health clubs in Ontario!